I was wondering if there is a way to split a shapefile's features in QGIS? I have many polygons in a shapefile which are separated geometrically. But in their attribute table they all have came in just one row. So I can not use "split vector layer" command. Is there any automated command to split these features? In the picture as you can see all these polygons are in one layer. I want each part to be in a separated layer. Browse other questions tagged qgis splitting or ask your own question. 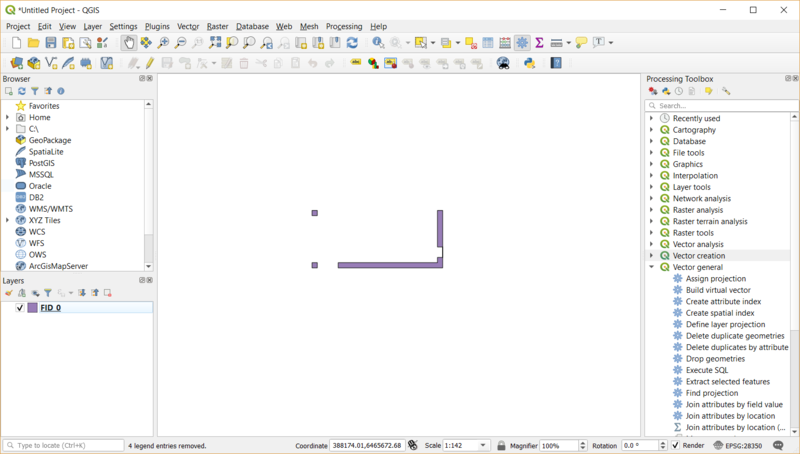 Splitting DXF layers into Shapefile layers in QGIS? How to create polygons from a polyline graticule? Using gdal_proximity in QGIS modeler?